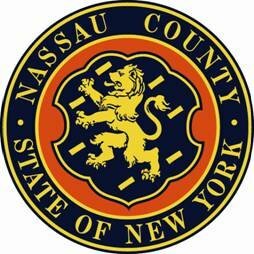 Acting Nassau County District Attorney Madeline Singas announced that a Long Beach man pleaded guilty today to the brutal August 2013 murder of 18-year-old Lauren Daverin in Rockville Centre. Mineola, NY - April 24, 2015 - Acting Nassau County District Attorney Madeline Singas announced that a Long Beach man pleaded guilty today to the brutal August 2013 murder of 18-year-old Lauren Daverin in Rockville Centre. Maxwell Sherman pleaded guilty today to the top charge of Murder in the 2nd Degree (an A felony) before Acting Nassau Supreme Court Justice Meryl Berkowitz. Sherman received a sentencing commitment from Judge Berkowitz of 18 years to life in prison. He is due back in court for sentencing on June 11. "With this top-count conviction, the defendant has admitted his guilt in the murder of 18-year-old Lauren Daverin and her grieving family is spared from having to relive this brutal crime through a trial,” Acting DA Singas said. “I want to thank the multiple law enforcement agencies that worked with my office to quickly and thoroughly investigate and prosecute this case, and for ensuring that the defendant will be held responsible for tragically ending Ms. Daverin’s young life." Acting DA Singas said that on the evening of Aug. 22, 2013, the victim, Lauren Daverin, 18, of Lynbrook, went to meet friends on a footbridge at Merrick Road and Sunrise Highway in Rockville Centre. Sherman, who had recently returned to Long Island to stay at his parents’ house in Long Beach, also was present at the footbridge. As the night continued, many people left the footbridge. Witnesses stated that the last two people on the footbridge were Sherman and Daverin. Sometime during the 9 p.m. hour, Sherman killed Daverin by strangling her and hitting her repeatedly in the head. Around 10 p.m., many of the individuals who were on the footbridge returned to discover the lifeless body of Daverin and called police. Sherman was not at the footbridge when the witnesses returned. On Aug. 23, 2013, Sherman, who had visible injuries indicating that he had been in a struggle, went to the Rockville Centre Police Department to report that he had been assaulted by two people after he left the footbridge. Sherman confirmed to police that he was the last person on the bridge with the victim. On Aug. 24, 2013, a witness went to the Rockville Centre Police Department and reported that he had seen something on the footbridge on the date of the murder. The witness stated that he had been riding his bike over the footbridge on the way to a bank at approximately 9 p.m. when he saw Sherman on top of Daverin. The witness continued to the bank but returned shortly thereafter and saw Daverin’s body alone on the footbridge. After the witness identified Sherman in a photo array, the defendant was arrested by the NCPD Homicide Squad on Aug. 24, 2013. Assistant District Attorneys Everett Witherell and Michelle Lewisohn of Acting DA Singas’ Major Offense Bureau are prosecuting the case. Sherman is represented by William Petrillo, Esq. Subject: LongIsland.com - Your Name sent you Article details of "Long Beach Man Pleads Guilty to the Brutal Murder of 18-Year-old Lauren Daverin in Rockville Centre"